Chikkis made from groundnuts.Other types of chikkis available are coconut, sesame etc. - We exports different flavor of chikki. - Traditional Indian Chikki rich with Peanut, Jaggery, Sugar, Liquid Glucose, Rajgira, Cardamom Nutmeg. We are a unique entity in the industry, actively committed towards providing a qualitative range of Sweet Chikki. Tilli is always been traditionally used to celebrate warmth & compassion of winters, So tilli is been blended with jaggery to give you traditional taste. Buy Lychee Softy Bites online at Charlie Chikki. Lychee dessert chunks with Crushed Peanuts, Jaggery, Liquid Glucose, Sugar, Lychee flavor. 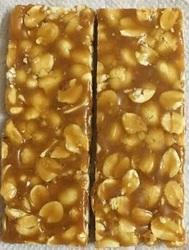 This is the healthiest and softest Chikki in the world. 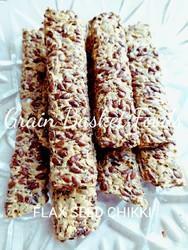 Premium quality Almond Chiki. Rich in Taste. Available in 200 gms, 500 gms & 1 KG packing.